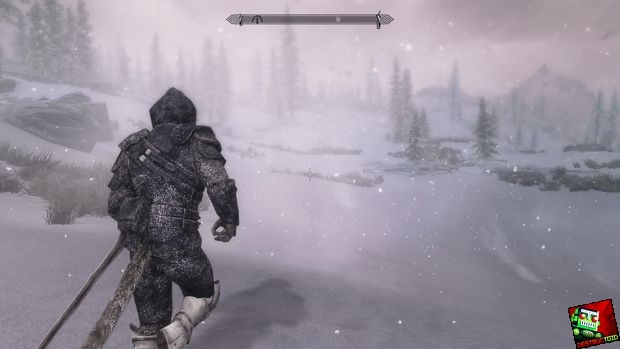 It's been over a year since The Elder Scrolls V: Skyrim was first released, and the modding community has been feverishly working at creating content for this magnificent game. I already covered Skyrim after it was released, but most of those mods are already outdated. So let's take a look at how awesome we can make the game look now. Getting a lot of mods to work together can be a tedious project. 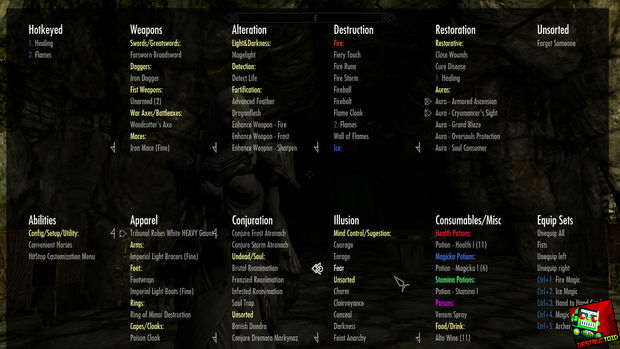 Thankfully, there is the Skyrim Total Enhancement Project (STEP), which is an excellent project that gives very detailed instructions on how to install an insane amount of mods in the correct order. They take the time to test everything and make sure it works and just launched a detailed wiki which guides you through the install process. 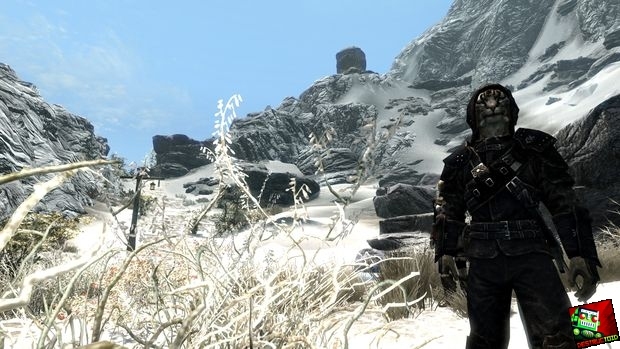 The STEP guide currently includes 215 mods, all of which help breathe new life into Skyrim. Think of this as a guide to using a guide. STEP isn't a quick fix, and it can take some time to get it all downloaded, installed, and working. You will have to spend some time tweaking and troubleshooting when you are done in order to maximize performance. Read everything in the STEP guide very carefully, and read the full description and instructions for any mods that you happen to install -- one small mistake can break the entire game. I recommend that you boot up Skyrim every few steps and see how it's running. This is going to take you a while to do, as you'll have to download at least 12 GB of data, and you'll have to read everything carefully. You don't have to be a rocket scientist, but you do have to be good at following instructions. The order you install some of these mods in will make a difference in the finished result, so don't skip ahead. If you do decide to take the time to do this, I know you'll be happy with how Skyrim looks when you are done; I know I am. 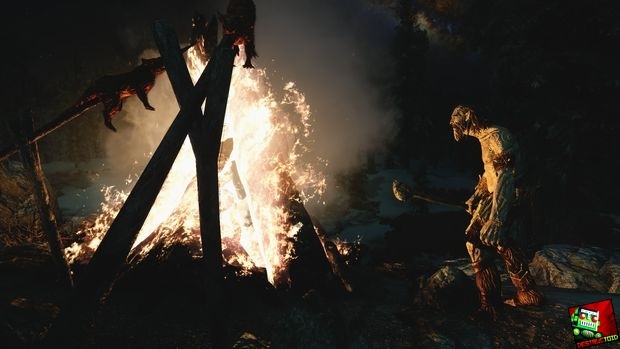 Subtle things like rainbows, lightning during storms, shooting stars, footprints in the snow, water dripping from characters as it rains, dropping torches on the ground when combat starts, followers riding horses, and literally dozens of other little tweaks add a layer of depth and character to flesh out this already amazing game. 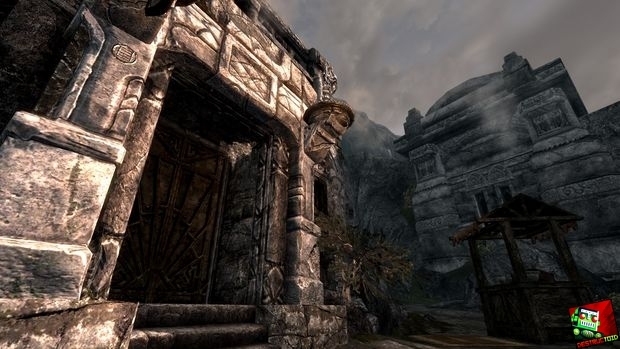 STEP is meant to give you a better-looking copy of Skyrim that will still run at 60 frames per second. It's possible to do further tweaks and use different mods to make it look better at the cost of performance. 1. Perform a clean install of Skyrim. This ensures that you have a clean copy free of bugs and conflicting mods. 2. Launch Skyrim for the first time and then use these settings. Adjust the draw distance based on your performance. To speed things up, lower the distance; to improve quality, set these to the max. I found a happy balance with the sliders at around 75%. 4. 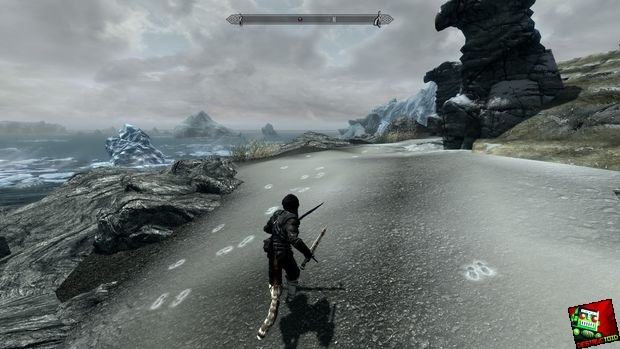 There are a handful of helpful tools to use when modding Skyrim this much. I use Wrye Bash to install the mods and BOSS (Better Oblivion Sorting Software) to make sure my load order is optimized. In-game load times and performance can be greatly altered depending on which mod is loaded first. Rather then figure all of this out on my own, I rely on BOSS to do it for me, and it does a really good job. 6. Now it's time to install some mods! I used the baseline options and lower quality settings if they were available. 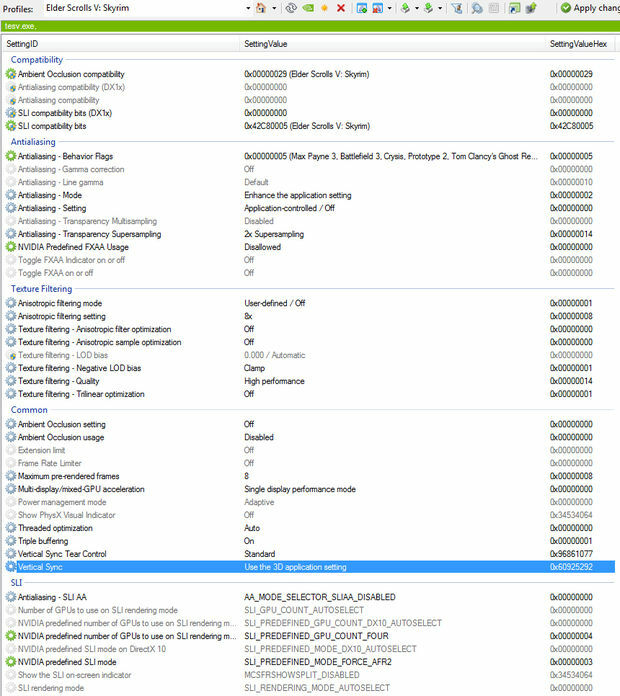 I was able to get 40-60 frames per second with a quad-core at 2.5 Ghz, 5 GBs of RAM, and an Nvidia GTX 480. If you have a beast of a system, feel free to install everything at its highest settings. I also installed Skyrim on a solid-state drive, which I highly recommend to make loading times almost non-existent. If you love Skyrim and you want to keep playing it for hundreds of hours with mods enabled, do yourself a favor and pick up a solid-state drive. It cuts down on load times and it gets rid of a lot of stutter and lag while playing. 7. 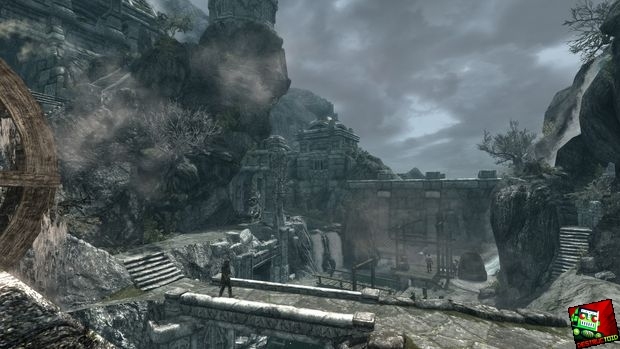 Download and install the Skyrim Scrip Extender. 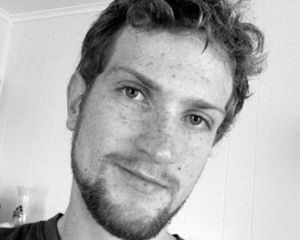 This adds new functionality to the game engine to do things that couldn't be done before. 8. Fixes. These mods repair bugs and tweak some basic gameplay mechanics. I just went with all of the available mods here. If you don't like the way something changes the game, just skip it, but at least do the unofficial patches. They really do a good job of making things work (like the entirety of Dragonborn). Main Font Replacement - I like the default Skyrim font a lot. Dungeon Quest Awareness - It gives too much information away. Time On Loading Screen - I don't need to be reminded how much time I've wasted playing Skyrim. Immersive HUD - I don't find the new UI to be intrusive and while it can be nice if you customize it well, it doesn't seem worth it to me. Not Another Colored Map Icon Mod - It makes the map look weird and the colors don't really help me out at all. 10. Conflicting Graphics. These mods have to be installed in the correct order to work the right way. These are texture files that replace a lot of things in the game, and when you install a new one, it will overwrite previous textures. I recommend that you use all of them, but just use the baseline version of each of these. Some of these texture packs have really large options that look awesome, but they make the game run under 10 frames per second. If you just want to take pretty screenshots, go for it, but if you want to play, keep it to 1024x1024 or less when you can. 11. Non-conflicting mods: Landscape & Environment, Characters & Creatures, Clothing & Equipment, Animations & Effects, and Miscellaneous. Each of these sections contains mods that affect specific things and makes them a lot better. These are all purely visual changes and you can install them in any order. It's up to you if you want to use all of them, but I recommend using all of them except "Ultimate HD Fire Spells" since I don't like the way the fire looks. Benchmark after completing each section and see how much your performance has been impacted, and if you need to, it's easy to uninstall these once you change your mind. 12. Sound. These mods affect the sound effects of the game. I like a lot of the sounds in vanilla Skyrim, but after a hundred hours or so, it can be nice to mix things up. I used all of these, but you could easily skip over all of these if you don't want to change how anything sounds. 13. Gameplay. These are minor tweaks to gameplay and non of these will drastically change the feeling of the game. My favorites here are the wearable lanterns. It adds lanterns that the player and NPCs will equip or hold in the game world. It's a nice little touch that I love to look at. I personally use all of these except for "The Choice is yours" -- I don't like mods that alter the existing quest dialogue. It's only minor changes to give you more choices over accepting quests, but I don't mind having my journal fill up with new stuff automatically. 14. Install a post-processing mod: A lot of people like to use ENB, which is a mod that adds post-processing effects to Skyrim which allow for more control over the visual style. STEP has a lot of good recommendations for presets to choose from. I used to use ENB, but now I use and recommend RCRN. It's easier to control, the changes aren't as drastic, and it's better on performance. To install it, just download the auto-installer and run it. Launch the RCRN Customizer to configure the way you want it to look. I recommend the "pure" preset, FXAA off, sharpening off, and volumetric fog set to "subtle." 15. Run BOSS to get your load order correct. If you have any issues STEP has a great troubleshooting section. It's recommended to start a new game after doing all of this, but if you want to keep playing with an older character, go inside and wait for 31 days. This is how long it takes for the game world to reset and hopefully get rid of any extra data in your save file. Relighting Skyrim changes the placement of lights to make lighting make more sense. 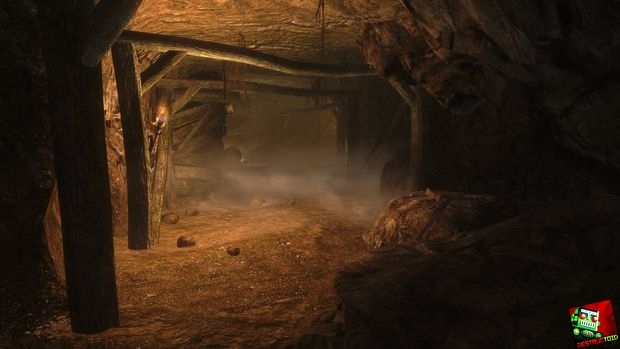 For instance, a lot of times in Skyrim when there are two light source near each other, the game actually only has one light source in the middle. If you have Dawngaurd or Hearthfire, get these additional mods. The Dance of Death adds more kill moves and allows for customization of frequency, chance of decapitation, and what perspective should be used. This guide would not exist without the STEP project and is not intended to replace their amazing work, but instead serve as an introduction to the process they have outlined and comments from my personal tastes and experience in using the system. If you use this system and like the outcome, please consider donating to the project to help them out with hosting. As someone who as spent a lot of time modding the Elder Scrolls games, I know it can take hundreds of hours to install and test this many mods and get them running without conflict. They are doing all of the hard work for us, and for that I am thankful. Be sure to check out the rest of The Weekend Modder's Guides to learn how to mod your favorite games! Video uploaded by Youtube user Daniele Ferraro.